Staff Sergeant Timothy Bowen said he built his career by honing his craft. For the past eight years, Bowen served in the U.S. Army and National Guard, including one year in Iraq. He viewed his ability to lead and train soldiers as the best way to keep them alive during their next deployment. Bowen’s dedication continued as a material science and engineering major at Penn State. While earning his degree, he worked at the Applied Research Lab and appeared on the Dean’s List six times. 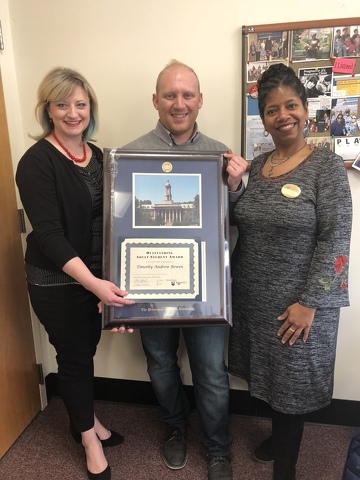 Bowen is the 2018 recipient of the Penn State Outstanding Adult Student Award. Leslie Laing, director of Adult Learner Programs and Services in Student Affairs, established the Outstanding Adult Student Award in 2008 as a way to recognize nontraditional-age students and veterans who are balancing financial and family responsibilities while earning their first-time undergraduate degree. Laing said Bowen was nominated for the award this year because of his dedication, competence, integrity and intense drive — which all helped him to excel. Bowen, who now lives in State College, said Adult Learner Programs and Services helped him feel welcome when he first arrived at Penn State. Bowen will begin graduate school in the fall as part of the one-year master’s program in material science and engineering at Penn State. He said he wants to pursue a career in petroleum engineering. 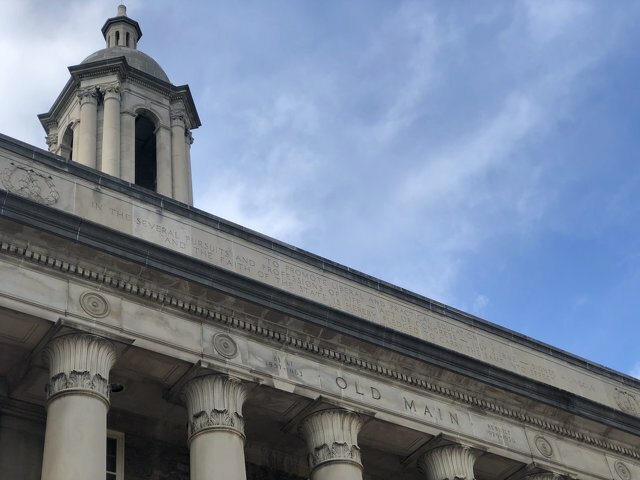 Penn State’s chapter of Alpha Sigma Alpha sorority has been suspended through the 2022 spring semester, according to Penn State spokesperson Lisa Powers. The decision comes following a student conduct investigation into allegations of misconduct related to alcohol use.